Do Filipino athletes have what it takes to take on what is known as the world’s toughest bike race? 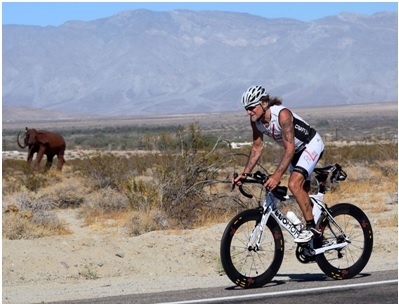 Race Across America (RAAM) is considered by many to be the most challenging of bike races globally because of its gruelling format – non-stop cycling across 12 states. This July 28, 2018, all athletes and cycling enthusiasts from the Philippines and Asia are welcome to experience RAAM through RAAMpage – the first official Southeast Asian qualifier for RAAM. Registration and sign-ups are now open and can be reached via www.cyclingraampage.com. As a qualifier recognized and approved by Race Across America, RAAMpage will be embodying the format of RAAM via a time trial race. The difference; however is that RAAMpage will have 6, 12 and 24 hour time trials to make the race friendlier to athletes and cyclists of all levels. Team David’s Salon, the team behind RAAMpage, wanted to ensure that all cycling enthusiasts would have the opportunity to experience RAAM on the level that they are comfortable with. RAAMPage will be held on July 28, 2018 at The Villages in Clark Freeport Zone, Pampanga. For interested participants and more information on RAAMpage, visit www.facebook.com/cyclingraampageph and www.cyclingraampage.com. ← Oral Health: Does Your Gum Bleed When You Brush Your Teeth?